Jacob Kurtzberg was born on August 28, 1917. One hundred years later, he’s regarded as one of the innovators of sequential art, and one of the architects of pop culture as we know it today. But we know him by a different name. We call him Jack Kirby, and today is his 100th birthday. Kirby’s legacy can’t possibly be summarized in the space allotted here. But what we can do is make note of the characters and stories that he helped create, and remain beloved to this day. Presented now, in chronological order based on the year they were originally published, are the 10 Most Enduring Jack Kirby Characters. 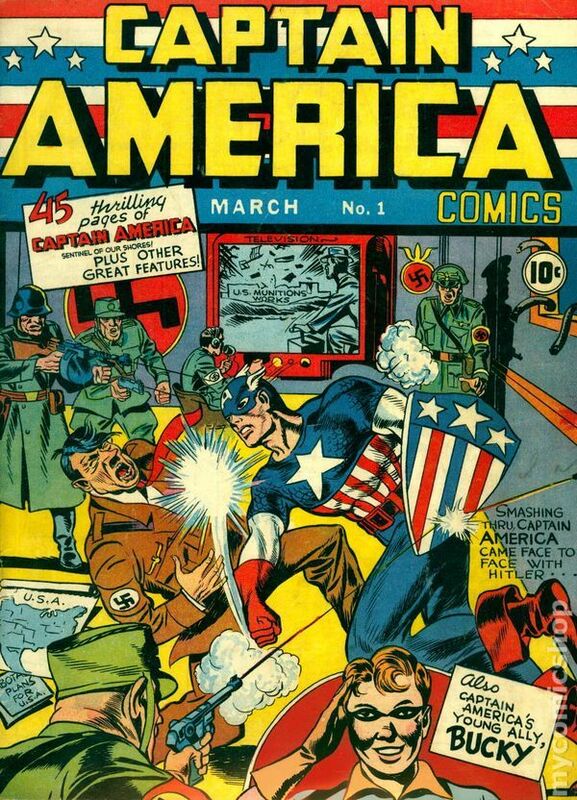 At the height of World War II, Kirby and author Joe Simon created the super soldier Captain America in response to the rise of Nazi Germany, and the ensuing tragedy and violence. This was roughly a year after Cap’s first appearance: the United States became involved in the conflict after the bombing of Pearl Harbor. 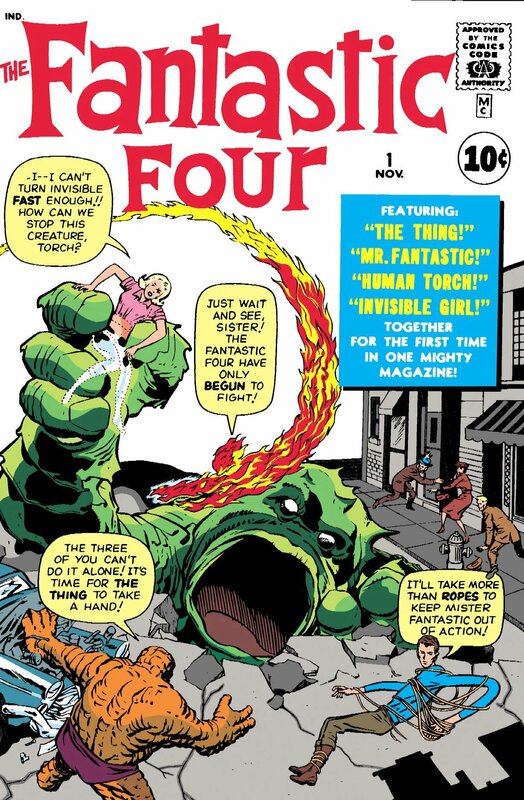 Mister Fantastic, Invisible Woman, the Human Torch, and the Thing represent the first collaboration between arguably the most prolific team in the history of the comic book medium: Stan Lee and Jack Kirby. 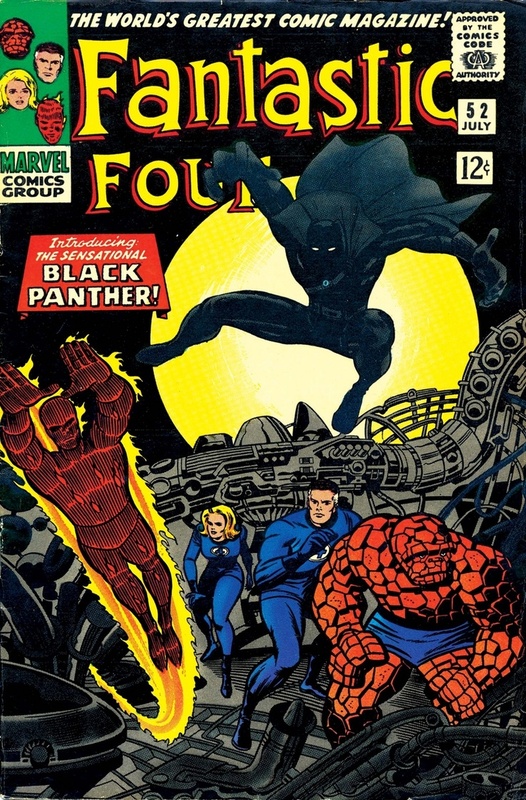 One could argue they’ve seen better days in terms of popularity and mass media representation, but the Fantastic Four were at the foundation of the Marvel Comics revolution of the 1960s. They also ushered in a fresh take on the superhero team formula. Hulk may very well be Jack Kirby’s most iconic creation of all. When you say his name, one of the things that inevitably comes to mind is that classic gray Hulk from the character’s early appearances. But Kirby and Lee’s story about a scientist becoming a monster after being exposed to gamma rays has grown into something almost universally recognizable. Not bad for a big green brute, eh? Noticing a pattern here? Stan Lee is widely credited with creating the Marvel Universe. But without Kirby’s influence, much of it could have looked very different. 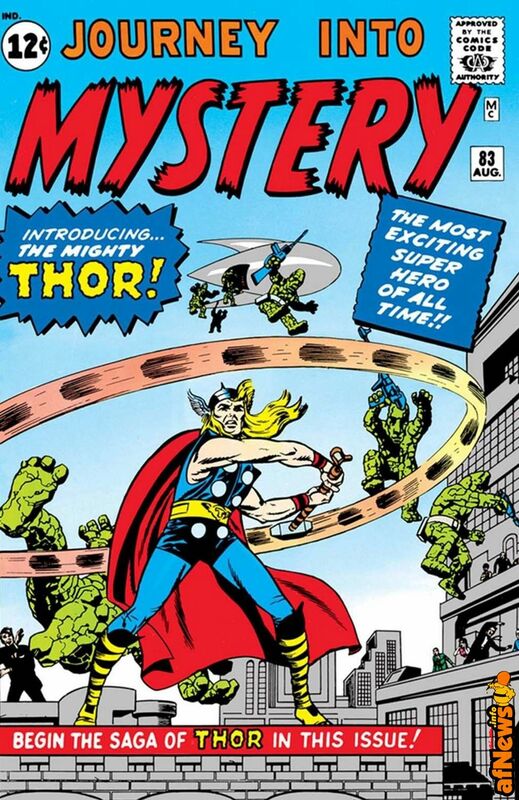 Kirby’s love of mythic characters made him a natural fit for Marvel’s modern day take on the Norse god of thunder. And ol’ Hornhead is still swingin’ that hammer today. In terms of Iron Man’s creation, Kirby shares artistic credit with Don Heck. 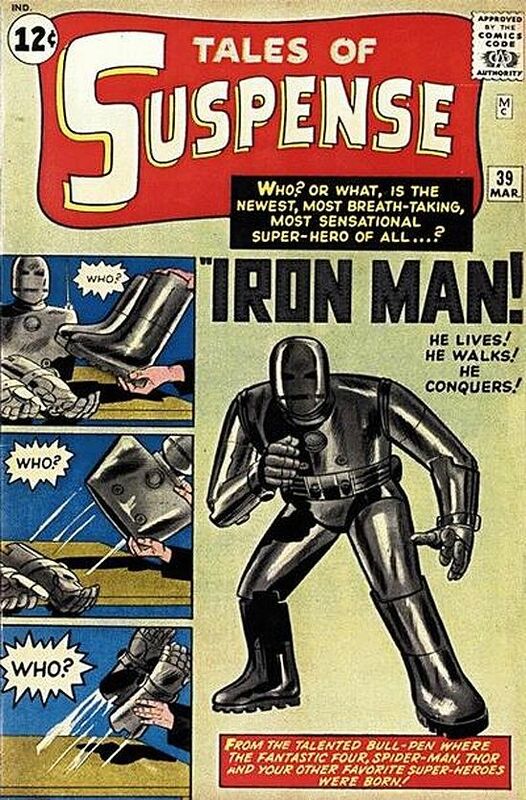 Kirby did the cover work for Tony Stark’s early adventures, and also created the earliest incarnation of the Iron Man suit. Considering Kirby’s unparalleled knack for drawing machinery, that should come as no surprise. Kirby would later make Iron Man a main character alongside Hulk and Thor in yet another famous superhero team, the Avengers. While it wasn’t necessarily created as such, the larger story of the X-Men would become about combating prejudice and hatred. An apt theme, considering the original characters were created during the African American Civil Rights movement of the mid-20th century. Alongside Lee, Kirby would create characters like Cyclops, Professor Xavier, Jean Grey, Beast, Magneto, and various others. What will undoubtedly pop out here for modern day Marvel fans is the name Fury. Yes, that’s Nick Fury himself. Decades before Samuel L. Jackson would don the eyepatch, Stan Lee and Jack Kirby created a diverse unit of soldiers, led on the battlefield by Sergeant Fury in what might be considered an underrated gem from Marvel’s early days. Black Panther hasn’t quite reached the level of notoriety that many of these other characters have. But he holds an important distinction in history: he’s the first black superhero to appear in mainstream superhero comics. Kirby broke the mold of American comic book art. But with Black Panther, he also broke the mold for what a superhero can look like. The “Fourth World” saga is the explosion of sheer creativity Kirby brought readers after his departure from Marvel. This grand tale of good against evil was undoubtedly the most ambitious work of Kirby’s career, and also criminally under-recognized by those who don’t frequent comic shops. Books like The New Gods, Mister Miracle, and The Forever People brought us characters and mythology that are still being used at DC Comics today. Such characters include Mister Miracle, Big Barda, Orion, Metron, etc. While he originated in the “Fourth World” stories, Kirby’s cosmic version of Hitler deserves special mention, as he’s become one of the most dreaded villains in all of DC Comics lore. Commander of the hellish world of Apokolips, Darkseid ultimately seeks to gain control of the Anti-Life Equation and eradicate free will. 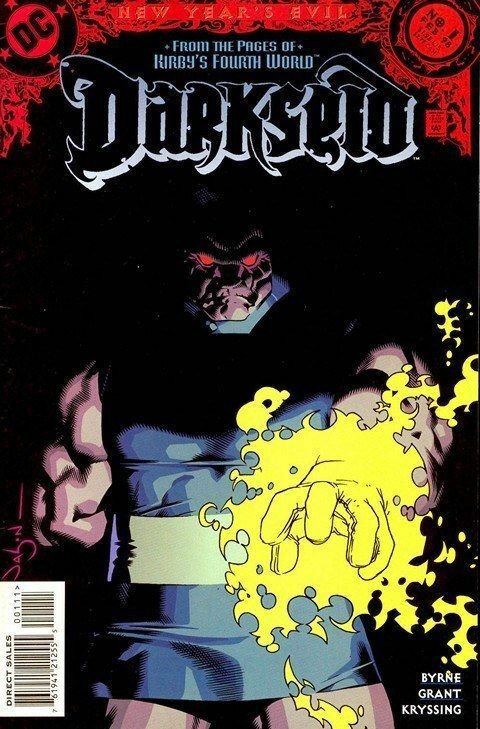 When Geoff Johns and Jim Lee were tasked with rebooting Justice League in 2011, they chose Darkseid as the one enemy powerful enough to unite DC’s greatest heroes. This post brought to you by Rob Siebert and Nerdy Minds Magazine. Like what you see? Let us know, and keep up with us at Nerdy Magazine on Facebook and @NerdyMindsMag on Twitter. Have an idea for something you'd like to read, or write, on our site? Contact us! Could Nicholas Brendon (#XanderHarris, #BuffyTheVampireSlayer) be at Dragon Con?